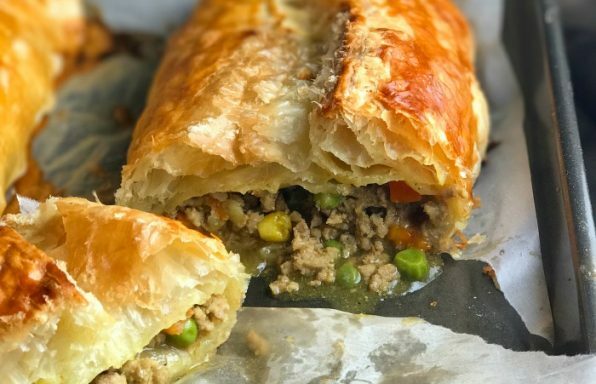 Delicious ground turkey and vegetables with velvety creamy light curry sauce wrapped up in a buttery puff pastry and baked to perfection. 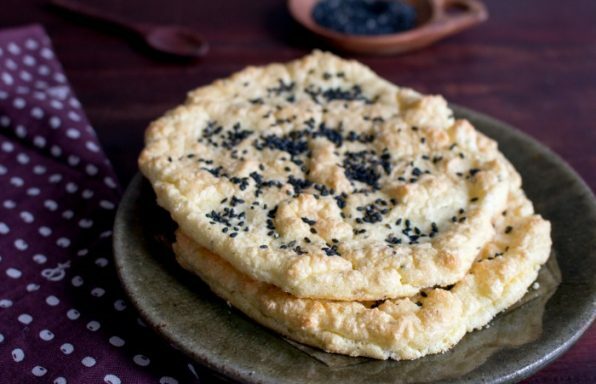 Sesame low carb cloud bread are soft delicious herbed gluten-free bread pillows topped with sesame seeds. 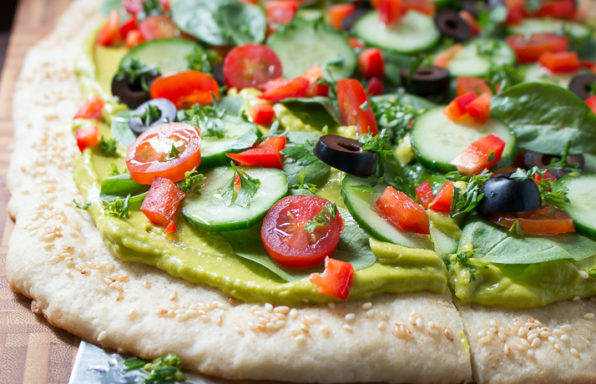 Wholly guacamole pizza pizzazz is lactose free, gluten free, vegan and a fun idea for hosting a party. 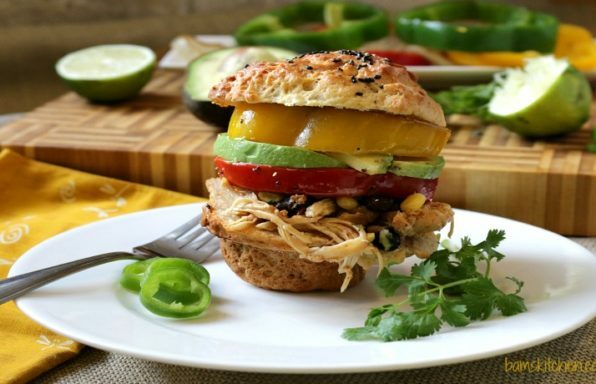 It is like eating a dip, a salad and a pizza all at the same time. 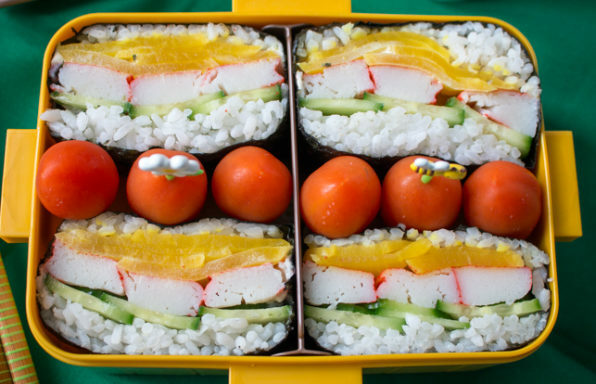 A fun Japanese sandwich made with sushi rice, crab meat and fresh vegetables topped with a zesty wasabi mayo. 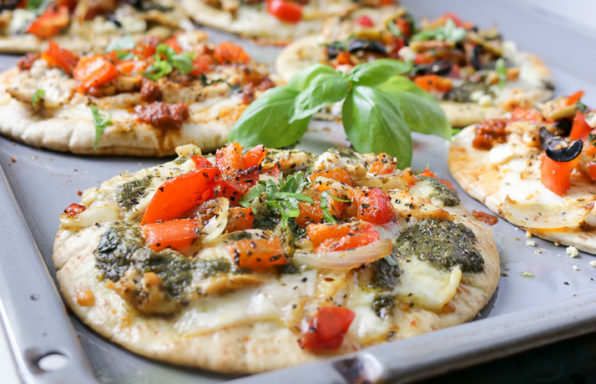 DIY Pita pizza party puts a smile on everyones face as they pile on their own toppings of grilled chicken, pestos, olives, fresh basil, feta or whatever your heart desires on top of a whole wheat pita bread and then baked to perfection. 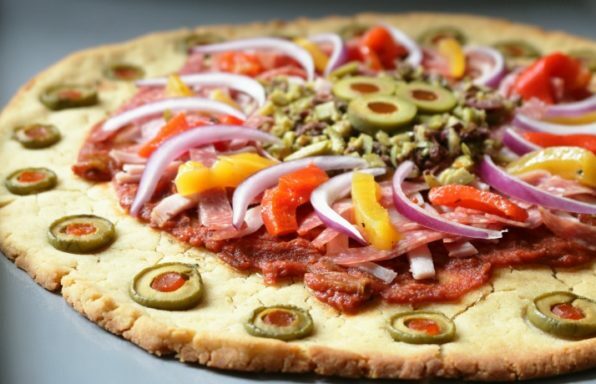 Muffuletta Pizza is a thin crust gluten free garlic olive herb studded pizza topped with red roasted bell pepper and sun dried tomato pesto, ham, salami and special olive Muffuletta toppings. Gluten-free pizza crust adapted from She Likes Food. Feeds 2-3 adults or one hungry teenager. 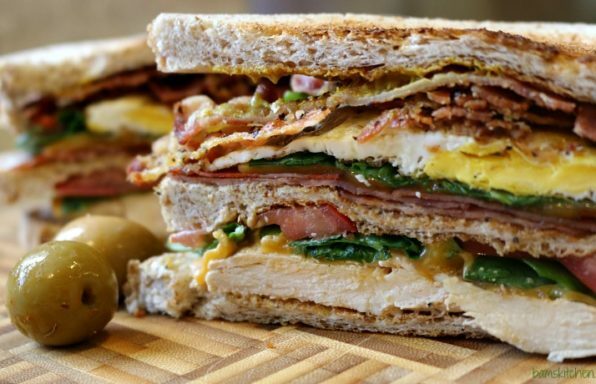 The world's best Dagwood sandwich with three layers of toasted whole wheat bread piled high with grilled chicken, chorizo, ham, fried egg, bacon, cheese, tomato, rocket, Japanese mayo and grainy mustard.